shoe saves Archives - Do You Speak Gossip?Do You Speak Gossip? April was a full month, in many areas. Blogwise I, once again, did my best to present you with good posts, and nice outfit photos. So, in case you missed anything this month, you can see a recap on this post, so you can go back and check it out. This month had: 7 outfit posts (and I loved every one of them! ), one fantastic giveaway (thanks to L’oreal), a new lens, a new bikini in the best spring trend, B&W, (thanks to Divissima.it), the first part of my Blogging tips series (A beginner’s guide to blogging in case someone’s thinking of starting a blog – a monthly series of posts. Be sure to read the next parts, which will be focused on more experienced bloggers) and finally many shoe saves (as part of my Shoeper Shoe Challenge by Shoeperwoman.com – which ends on May 1st). Check out the links to all the outfit posts of this month below. As always, my month ends, with a recap of the things I shared with you on this blog, and things that happened in my life in general. First on the list, January’s outfits…I’m hoping that next month, I’m going to be posting outfits more regularly, since it’s the part of my blog, I love the most. I hope you agree with me! This post, not only sums up my month, but it’s also the last post of the year. Wish I could make a year in pics post, but that would have been really long. So I gathered my top 12 favorite posts of 2012, on my previous post. So, do you want to see what happened in December? Continue reading…. November wasn’t a very exciting month as far as my posts go, but it included some of my favorite outfits we have photographed for this blog. Both I and T. did our best to show you nicely photographed and interesting outfits, in good lighting, which was the hardest of all. But I think we succeeded. 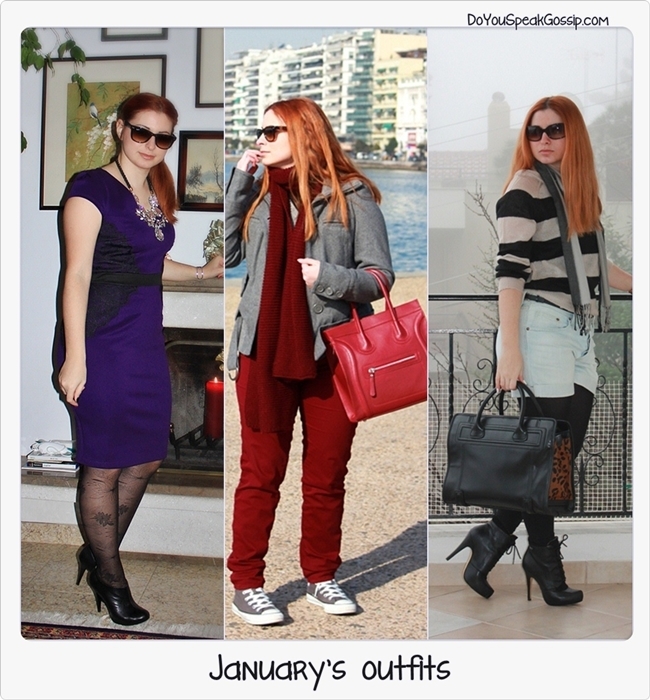 These are the outfits of the month! Click on their names to be directed to the original posts. This month was so full I almost didn’t realize that we were soon going to enter October. And when I say full, I don’t mean only with blogging, events and posts, but also in my personal life. But let’s start this recap from the usual part. 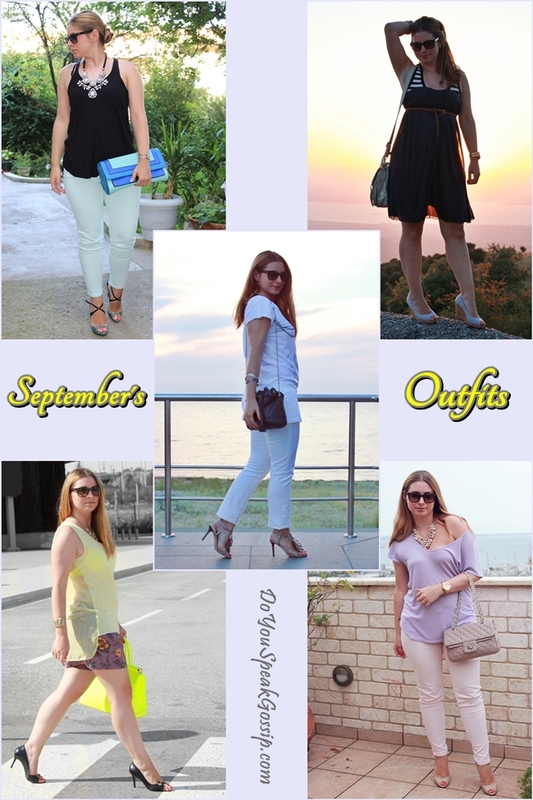 The outfits I wore and presented here to you, during September.